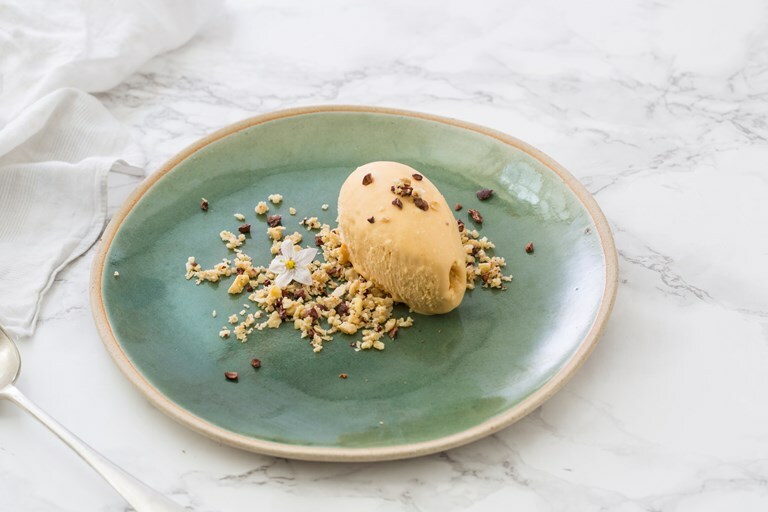 Adam Simmonds serves up a sweet and savoury miso caramel ice cream recipe – all without the help of an ice cream maker. Making the base in a Vitamix creates an incredibly light and creamy base, which is simply frozen to set before serving. A savoury granola gives the dish an extra bite.